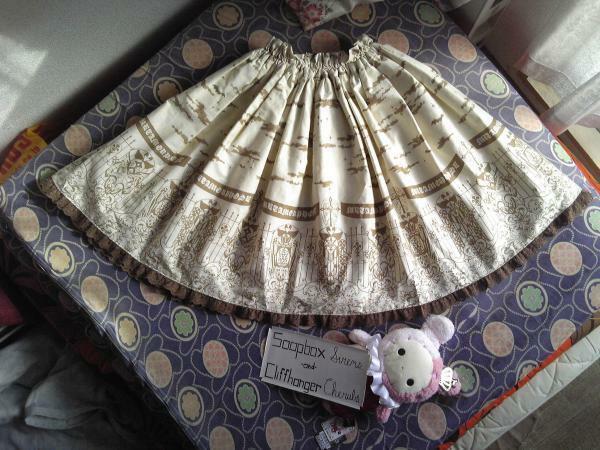 -Metamorphose Moonlight Night Skirt: The waist is fully shirred. Has bats in a cloudy sky over an iron gate with swirls to represent foliage. The condition is Like New. -BPN Windowsill and Crown Motif Necklace has ten bronze crowns and pearls on a chain with a framed gate pendant. A jewel hangs above the pendent. The condition is Like New.